RADIO WITH KINWOMEN We are currently on 98five in Perth and also 96five in Brisbane. A radio show with varied presenters talking through their own stories and inspiration from everyday life. 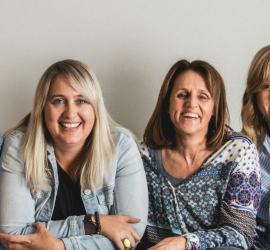 Kinwomen began when friends Amanda, Kelley, and Penny decided to start an online network advocating for women, telling stories and inspiring a global community. We have regular posts on our blog, with many different women writing from different experiences, life journeys, ages, locations, and perspectives. Amanda, Kelley, and Penny are daily on radio and produce video messages as well. Our monthly podcast can be found here. Throughout the year, kinwomen will be speaking at various events. If you would like more information to share in our live events, check out our schedule. We would love to meet you. 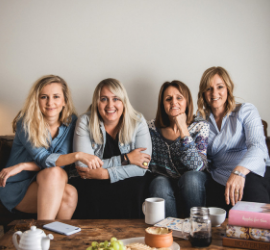 At Kinwomen, we believe that women everywhere long for purpose, connection, and conversation. They want to share their lives on a basis of honesty and vulnerability, but this only happens when there is mutuality between people in the sharing of self, failures, and dreams.